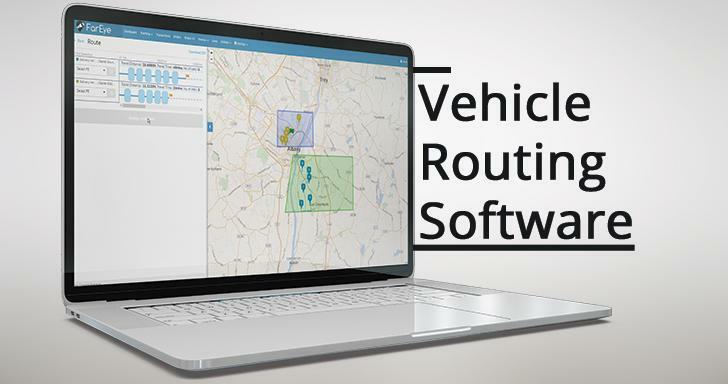 Gartner has recently released a Market Guide for Vehicle Routing and Scheduling, mentioning the notable vendors including FarEye. The eCommerce industry has grown exponentially in the past two decades. 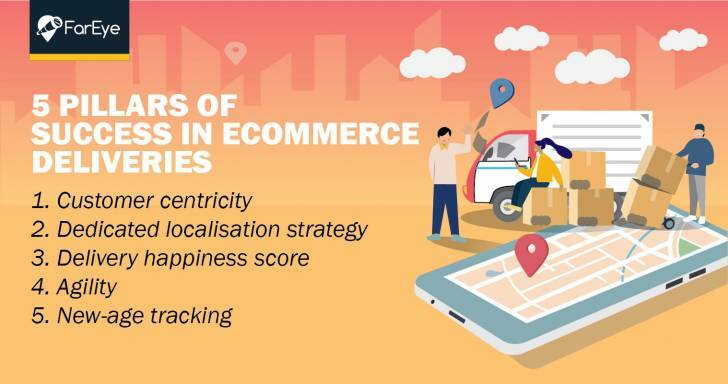 Customer centricity and user experience have become the focus areas, making last-mile logistics, a key to cut the clutter in such a competitive market. 86% of consumers believe that delivery is an important part of their online shopping experience as it is the only actual touch point for customers in the world of eCommerce. Therefore, making it necessary for logistics companies to invest in digital logistics. Over and above everything, with high operational costs, the logistics and distribution companies must use industry’s most efficient vehicle routing software that enhances operational efficiency and increases first-time delivery attempts by optimizing last mile delivery routes for zero-error ETAs and customer empowerment with real-time event alerts & notifications. The report emphasizes the increased need for real-time, dynamic technology by logistics enterprises to improve vehicle routing in a volatile transportation environment. With increasing customer expectations, perpetual demand for shorter turnaround time and higher shipment volumes, it is imperative that logistics companies strengthen their last-mile delivery process, which is the only actual touch-point between the brand and the customer. FarEye’s vehicle routing software helps organizations address the challenges of – rising customer demands, increasing operational costs, increasing driver shortage, high parcel volumes by providing dynamic workforce management. It is the industry’s most efficient, flexible and robust route optimization software that allows automatic assignment of jobs to field executives as and when jobs originates. FarEye’s intelligent platform converts lexical addresses into geographic coordinates (Geo-coding) which are used to mark positions on a map. Managers can create different geofences as a guide for auto routing, marking out areas not be clubbed when creating routes for most efficient deliveries. 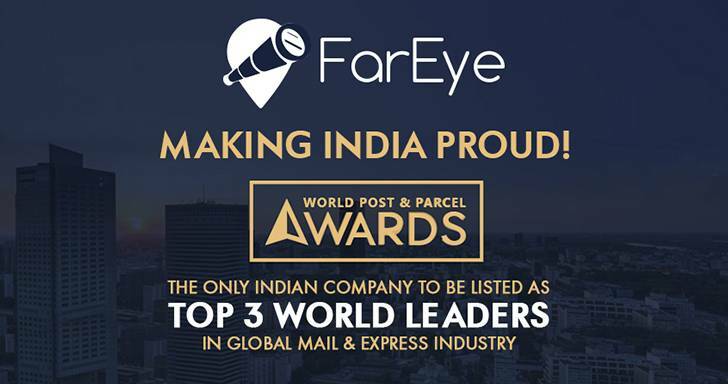 FarEye offers the customers, real-time visibility of their shipments with the flexibility to select their preferred time-slot and delivery location (parcel/locker deliveries) thus increasing the brand’s Delivery Happiness Score! New-age ecommerce delivery software has capabilities facilitating localisation in-built in them. That will essentially help easy onboarding and adoption among field agents who can help drive more deliveries through merely the ease of using the app. FarEye has launched its flagship product - DropΠck. 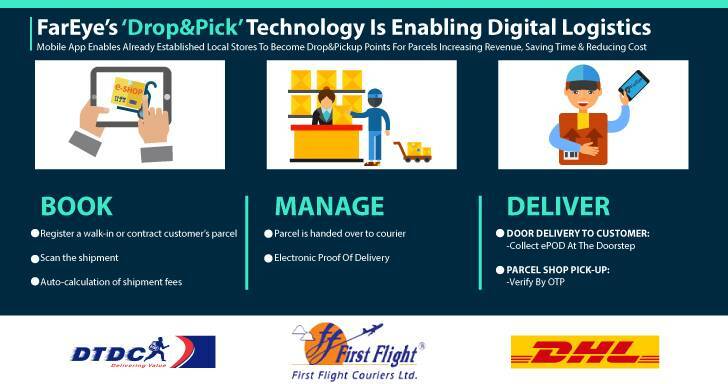 This parcel shop technology has already been incorporated by various businesses to facilitate paperless, high speed and secure delivery and pick up of parcels through its service points including DHL, Blue Dart and First Flight.